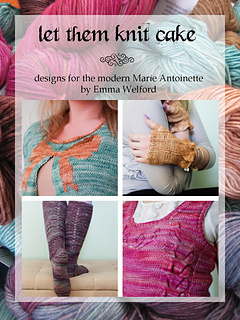 Let Them Knit Cake is a pattern collection inspired by Marie Antoinette, but made for the modern woman. 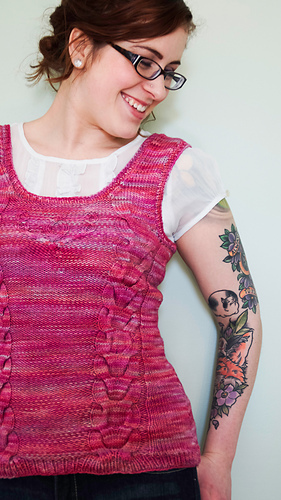 It’s not all about hoopskirts and powdered hair--this is the new rococo! Drawing inspiration from portraits of Marie and accounts of what she wore, I’ve interpreted these sources to create four pieces that would be at home in any woman’s wardrobe.